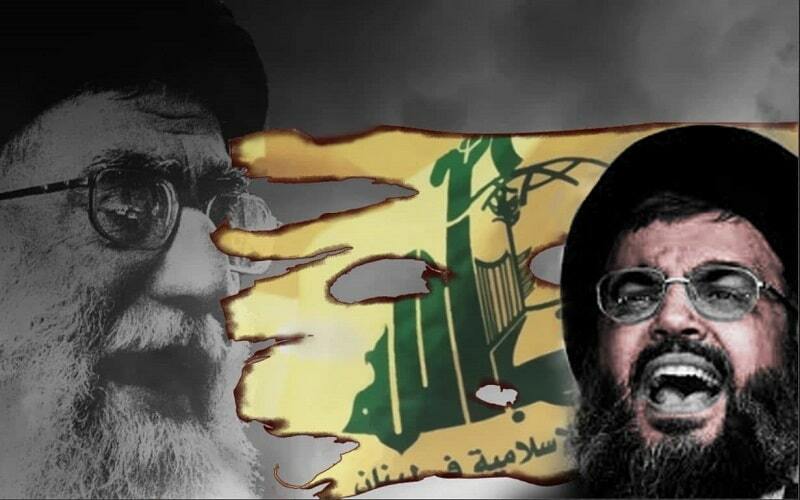 While the world is sensing new dimensions of Iran regime’s terrorist plots and operations, as the main state sponsor of terrorism in the world, it is appropriate to have a closer look at its main proxy in the region and the world, the Hezbollah. According to Nathan A. Sales, the U.S. Coordinator for Counterterrorism, this group, which is accommodated with 700 million dollars each year by the mullahs regime, is one of its main tools for export of fundamentalism. At a time when the people of Iran are in dire economic condition and sell their kidneys to survive, the regime funds Hezbollah full force. But is he speaking the whole truth? Hassan Nasrallah does not tell all the story. The military wing of Hezbollah was blacklisted by European Union ministers as a terrorist organization on July 2013. But that did not mean that the financial conduit of the Iranian regime for this group would also be cut off in Europe. Hezbollah is involved in smuggling drugs and money laundering in European countries, especially Germany. The US Anti-Drug Agency (DEA) estimates that Hezbollah “moves” $200 million a month through its middlemen, most of which comes from drug trafficking. As an example, according to a report by Die Welt, this dirty money is being whitewashed through the Hezbollah vast network in Germany, the mosques being part of it. This is aside from the money that Hezbollah is pocketing from benevolent people. The Cassandra project, in which narcotics were smuggled from South America to Africa and Germany, was entirely steered through Hezbollah. But as the former US government and Germany were so enthusiastic to achieve the horrible nuclear deal with the state sponsor of terrorism (Iran), this scandal was hush-hushed. For years the State Office for the Protection of the Constitution in Germany has reported espionage cases against the Iranian resistance conducted by mullahs regime’s MOIS in Germany, but so far there has been no judicial investigation or even any warning addressing the regime about it. This inaction paved the way for the Mullah’s regime to dare to tail the commute of a member of the German national parliament a few months ago. It is said that a regime’s agent intended to assassinate the representative but he was arrested. Germany also remained silent against the Iran regime’s cyber-attacks against its universities. At the end of this long list is the arrest of an Iranian regime’s spy in the German Army. Arresting the Iranian regime’s spy in the German Army shocked many of the regime’s counterparts. It underlined the necessity of a firm policy towards the Iranian regime and its proxies in the EU member states, especially Germany including the reopening of the regime’s assassination and espionage cases against its dissidents such as the assassination of the Iranian-Kurdish opposition leaders at the Mykonos restaurant in Berlin, Germany on 17 September 1992. As a reminder, the German Attorney General, Ronald George, announced that the Iranian Supreme Leader, Syed Ali Khamenei, its president, Foreign Minister, and the former Minister of Intelligence were involved in the case. It also should not be forgotten that the MOIS espionage operation against the Iranian resistance, especially the MEK/PMOI, in Germany, reported by the Federal Office for the Protection of the Constitution in Hamburg (Page 283)and the Ministry of the Interior of North Rhine-Westphalia (Page 129) should go under investigation.